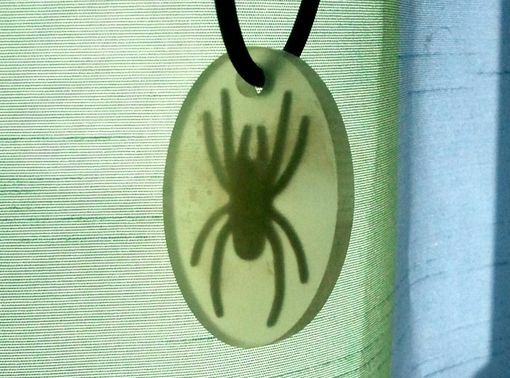 Okay, it doesn't really look like amber and that isn't a real spider but it was the effect I was going after. This was achieved as a result of exploiting the "problem" with 3D printing techniques. One method of printing objects means that anything hollow has to have an escape hole for excess material to escape. If there is no hole the material is trapped. 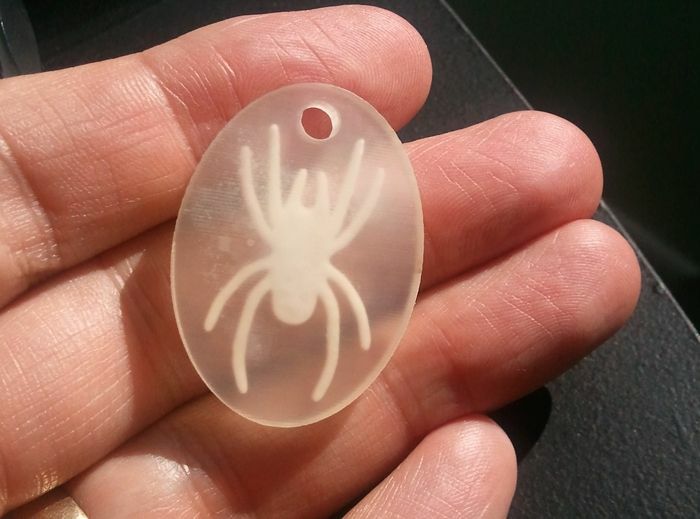 Knowing this, I modelled a hollow spider inside a solid oval pendant and the result is a very unique piece of jewellery.